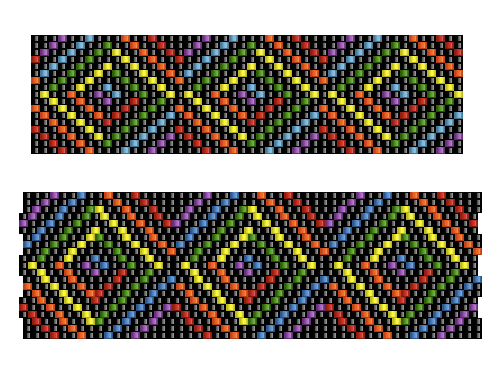 Two graphs for Free Pattern Fridays this time. With a couple of minor tweaks, I converted my loom bracelet to 3-drop peyote. Both are repeating designs. 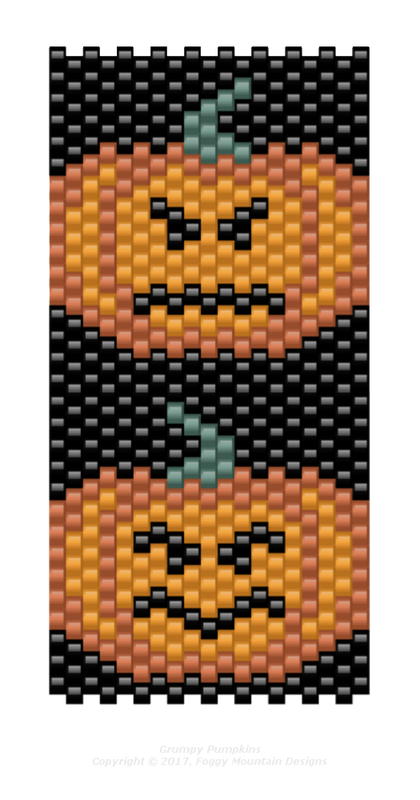 First is the loom pattern. It is 17 columns wide (0.9″). 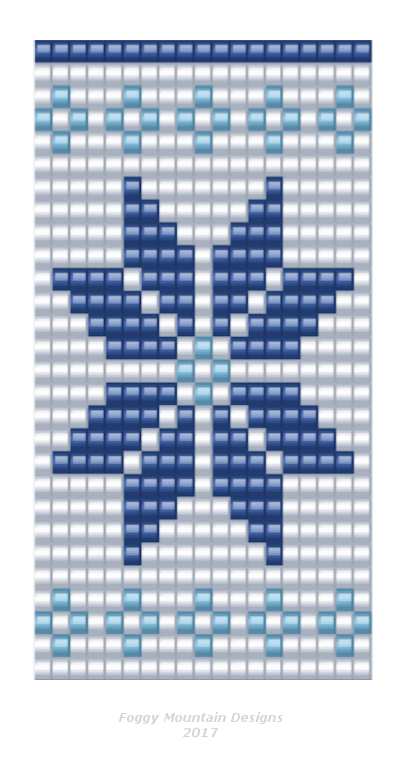 The 3-drop peyote pattern is 21 columns (1.1″). Here is how they will look once you’ve worked several sections. Loom on the top, peyote on the bottom. Click graphs to enlarge, right-click to save to your hard drive. As always, you can work them with the colors shown or choose your own. Your choice of clasp. 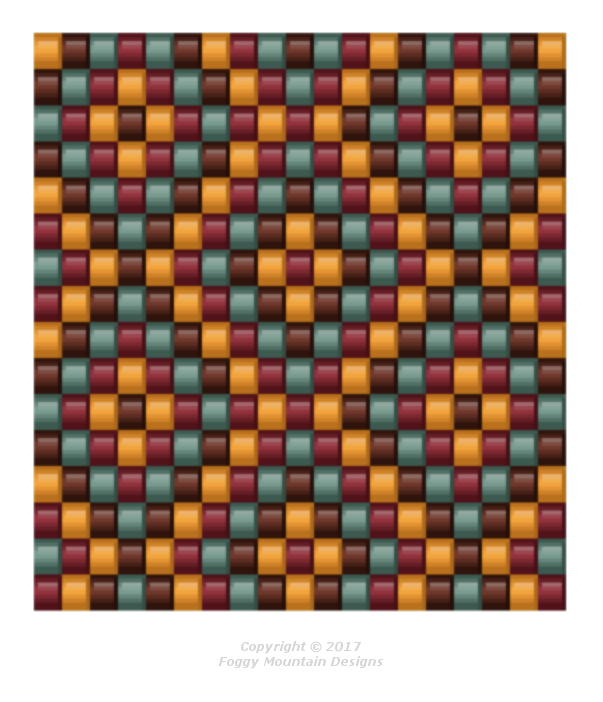 For the first day of Fall, and Free Pattern Fridays, we have another loom/square stitch pattern. It repeats and is 19 columns (1.01″) wide. When you get to the bottom, start back at the top and work until the desired length. Your choice of clasp. Click the graph to enlarge and right-click to save to your hard drive. 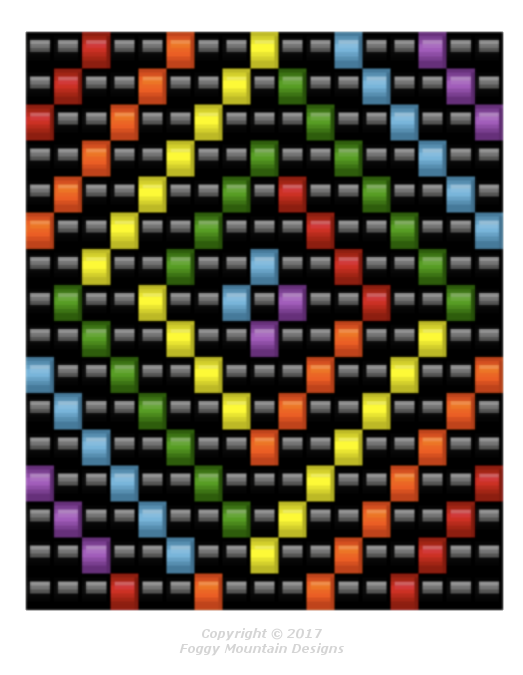 We’re going with a loom, or you can work it in square stitch, bracelet pattern this week. Pick your theme – Winter or Fall. 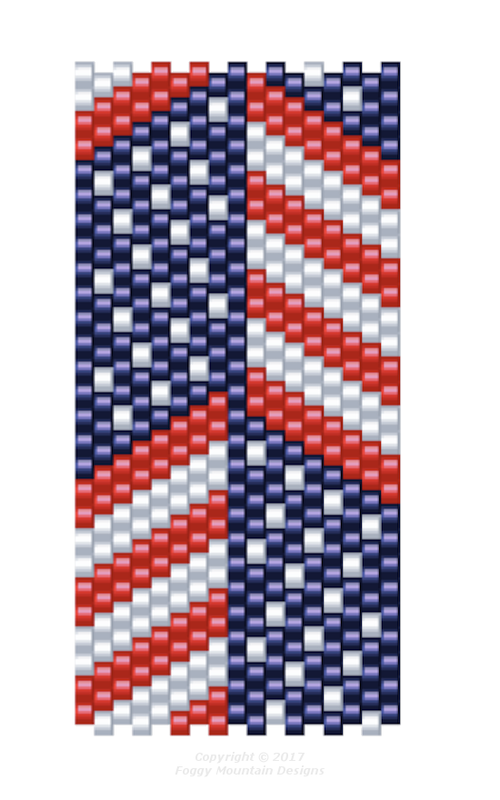 It is 19 columns wide (1.01 inches) and repeats. Click the images to enlarge and right-click to save to your hard drive. When you get to the bottom, start back at the top and work until the desired length. Your choice of clasp. 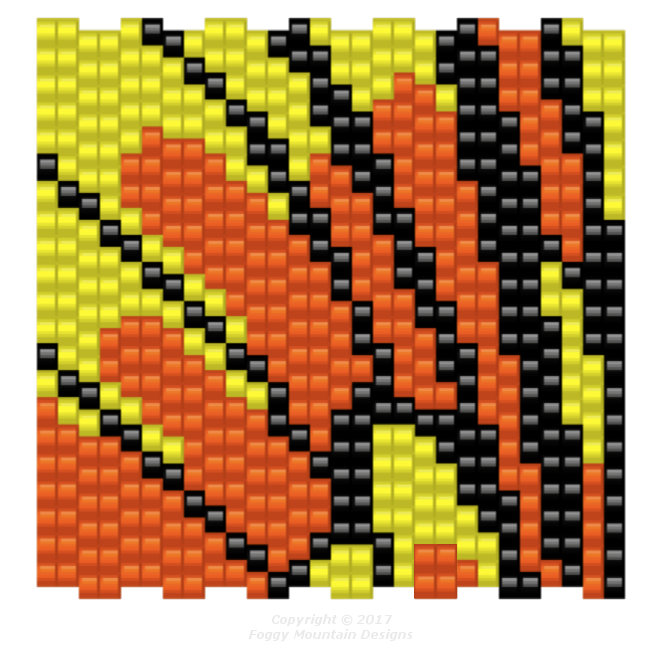 We’re going to do a playful pattern because I’m in a silly mood. I redesigned my Spiny Norman hedgehog earrings into a even-count peyote cuff. 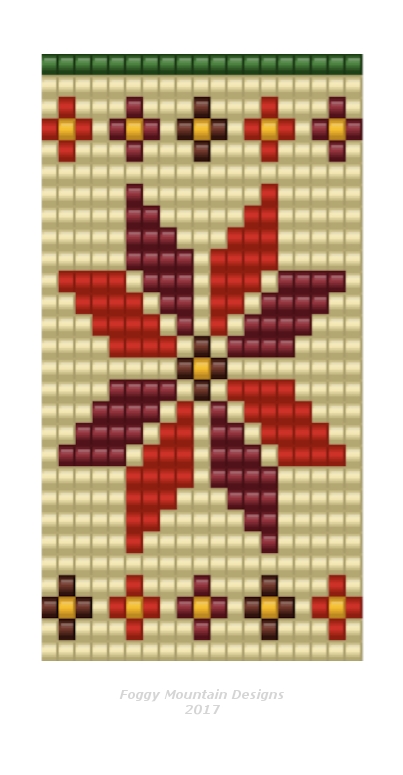 Repeat the pattern until it’s long enough to fit your wrist and add a clasp. Stitch the longer piece, then work the smaller pattern on each end until it’s long enough to fit your wrist. Add a clasp and you’re done. Click the images to enlarge and right-click to save to your hard drive. You can also change the border color, add clouds, hills, trees, etc. in the background, outline the heart, or picot the edges. You could even leave off the heart and attach a charm in its place. 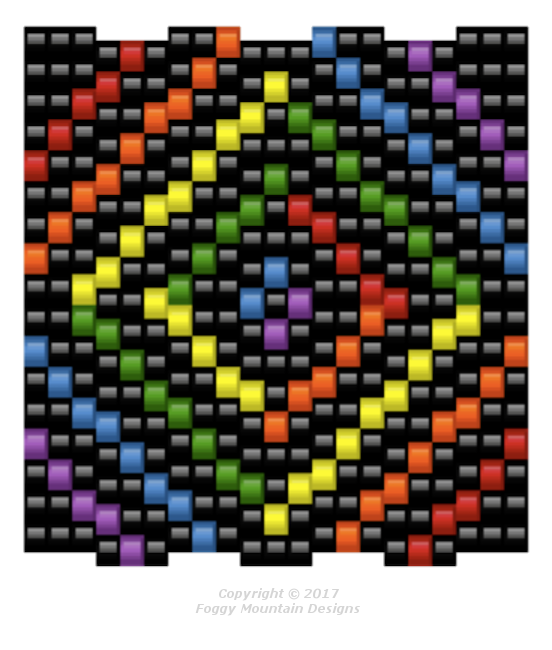 Get creative, have fun and Happy Beading!